The days of relying on the visibility of Abe Lincoln’s head to measure the condition of your customers’ tires are over. Rotary’s new TreadScan 2700 makes it easy to quickly and accurately measure and analyze the tire tread of every customer vehicle that comes through the shop. This measurement instantly tells the technician if tires should be replaced or require further vehicle inspection, such as suspension or alignment. It’s a simple safety check that protects customers and can result in additional tire sales and service work for the shop. The price is low enough to install one in every bay instead of tying up valuable space with a dedicated lane. Two versions of TreadScan 2700 are offered to meet any shop’s needs. The base product includes a robust drive-over tread scanner and a mobile cabinet with computer and printer. The scanner is constructed of tough galvanized steel for durability and reduced maintenance. 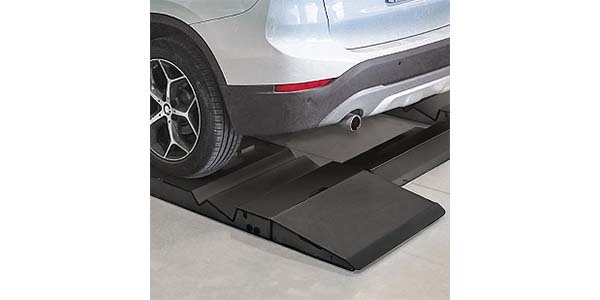 It has adjustable ramps to accommodate any car or light truck weighing up to 16,000 lbs. and can be installed in any bay, either mounted to the floor or recessed per shop preference. TreadScan 2700 can also be integrated with Rotary alignment equipment. In this configuration, the tread scanner is installed in front of the alignment rack so that every car drives over it on the way to the rack. The TreadScan 2700 software can be installed in the computer used for alignments, cost-effectively eliminating the need for another computer, printer and cabinet. As vehicles drive over the reader, a built-in laser automatically measures the tread on each tire and a camera photographs them. Within seconds, the data and photos are transmitted to the computer and a tread report is generated. This report, which can be printed to review with the customer as well as stored for future reference, includes a detailed analysis of the tire tread, including measurements, dimensions and diagrams. 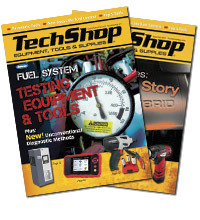 Technicians or service advisors then can analyze the data and make recommendations to the customer.